In this module student-teachers at PST (pre-service student teachers) are introduced to the role and the use of culture-related contexts for the teaching and learning of mathematics. Students will perform better in mathematics when the central concepts are grounded in contexts that can be recognised from daily life – which is dependent on the cultural background of the students and the (prospective) teachers. To prepare future teachers for teaching in cultural diverse classrooms, acknowledging and appreciating the cultural background of their students. In this module pre-service teachers are introduce to intercultural learning in mathematics using different definitions. For teacher educators we offer a short and extended version of the training module. Theory and background on the use and benefits of contexts to enhance concept development for student in different approaches for reasoning and algorithms in mathematics. 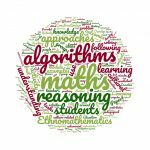 Background on Intercultural perspectives on reasoning and algorithms in mathematics, including ethno-mathematics. building knowledge using constructionist approach.